Origin: Fujitsu General Ltd, Kawasaki, Japan. Exclusive Warranty: * 02 Yrs Compressor - Replacement Warranty. 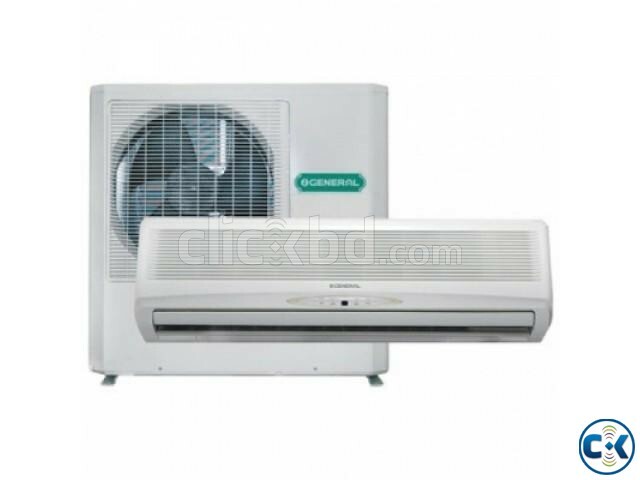 General ASGA18AET split type air conditioner with capacity 18000 Btu / 1.5 Ton, origin: Japan, assembled: Thailand. This 1.5 Ton General split AC features: smart energy-saving operation, adjustable air flow, auto shut flaps, auto restart, double auto swing, up/down swing flaps, super quiet, washable air filter, humanized sleep function, quick and easy installation, handy type remote controller.